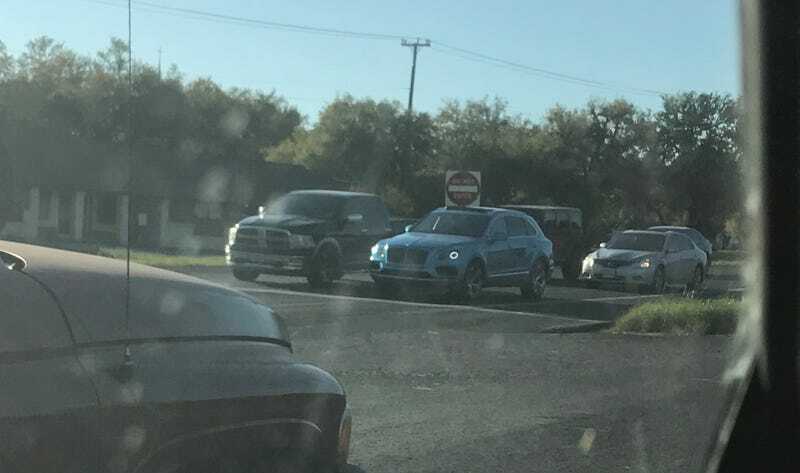 Bentayga! I was expecting these things to be bigger TBH. It was a very very bright blue that doesnt show in the photo. There’s a Continental GT the same color that I’ve seen around... probably same owner.